What a weekend of footy we were just treated to as Melbourne and Collingwood won two massive semi finals to advance to the prelims this weekend! Richmond will host Collinwood this Friday night in the first preliminary final before Melbourne will travel to Perth on Saturday night to take on the Eagles at Optus Stadium! 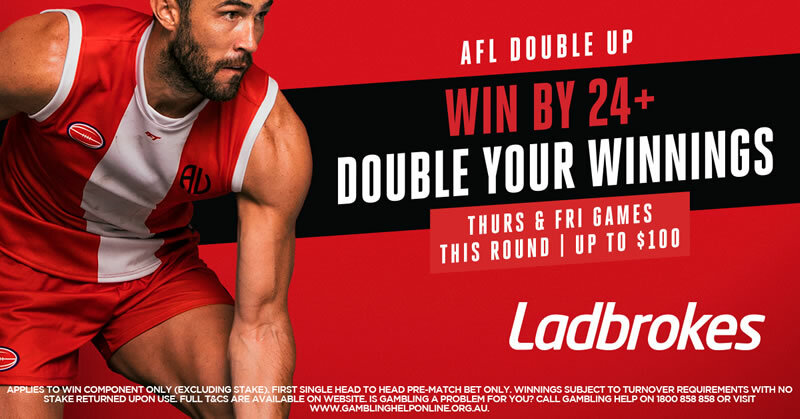 The results on the weekend set up what will arguably be the biggest game of AFL football in recent memory between two old rivals and the two biggest clubs in the country in Richmond and Collingwood at the MCG on Friday night. Tickets for the match are already reportedly selling for upwards of $400 on eBay. We preview the monster Friday night clash and give our betting tips below. Collingwood were shaky at times in their game against the Giants on Saturday night, however, a dominant last quarter which saw them kick the first three goals of the quarter to extend to a 22-point lead ensured that they would advance to their first preliminary final since the 2012 loss to the Swans. 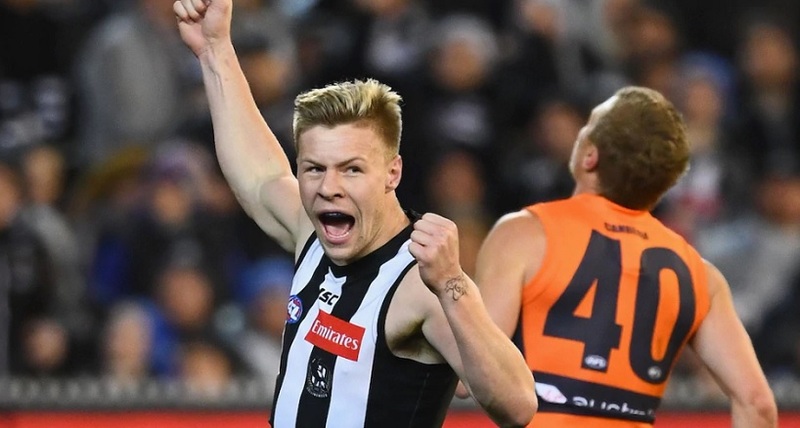 Jordan de Goey left the ground early with an injury scare but returned to absolutely dominate the game, racking up 14 touches and kicking three goals. The medium forward looked damaging every time he got the ball and was ultimately the difference for the Pies as their only reliable forward. Josh Thomas and Will Hoskin-Elliot added two goals a piece while Steele Sidebottom was back to his accumulating best with 31 touches in the midfield. The Pies dominated the midfield battle as Sidebottom, Phillips, Treloar, Pendlebury and Adams all sat inside the top seven disposal getters on the ground. They outworked the Giants midfield for 22 extra contested possessions, and 11 more inside 50s to ensure the victory. While their defence looked shaky against the big West Coast forward line the week before, the Giants small/medium forwards were handled more comfortably, which bodes extremely well for the game against the Tigers who will play a host of the same type of players. Richmond were dominant in their qualification final against he Hawks two weeks ago. They shot out to a 21-point lead at the start of the third quarter and never looked back, eventually winning by 31 points as Kamdyn McIntosh and Daniel Rioli both slotted three goals. The week off should do wonders for the Tigers, who were already near full strength and will use the time to regain some fitness. The Pies showed they are capable of playing the Richmond game style on the weekend by pressuring relentlessly and moving the ball quickly through the middle of the ground. Time will tell if they will be able to maintain that level of ball usage through the middle against the rampant Tigers pressure, however, the three Melbourne teams still in the finals seemed to be all in on the game plan that helped the Tigers lift the cup last season. Richmond’s ability to maintain the relentless pressure through all four quarters of the game remains a big problem for the Pies. In the two sides two meetings this year, Collingwood were able to stay in the game for the first three quarters of each game before being blown out to lose by 43 points and 28 points respectively. Collingwood did play that second game with two on the bench, however, as both Jeremy Howe and Matt Scharenberg went down with injuries. Dustin Martin is obviously a massive factor for the Tigers chances. The star player can dominate in the midfield or the forward line but should have a tough matchup on Pies tagger Levi Greenwood this weekend, who kept Martin to just 19 touches in their last meeting. However, if Martin does float forward as he did in Round 19 he could be matched up with Brayden Maynard, who was dominant in the much-hyped Toby Green vs Maynard matchup on the weekend. The defender held Greene to just nine disposals and zero goals. Elsewhere in the Collingwood defence, Jeremy Howe and Tyson Goldsack both have claims to take on Richmond’s sole tall forward in Jack Riewoldt, which will be a massive job. Down the other end of the ground, Mason Cox will be an important factor in the game. Richmond have shown a propensity to struggle against massive forwards in the past. Their whole style revolves around having agile and speedy defenders who can run, pressure and carry the ball out of defence, however, this leaves holes in their game when they face monster forwards eg. Josh Jenkins and Tom Hawkins, who booted 11 goals in three games against the Tigers this season. Where Collingwood can really assert some dominance, however, is in the midfield. If they are going to remain competitive this weekend they have to dominate this area of the game. They boast a more talented midfield than the Tigers, they just have to match their opponents in intensity and pressure and it should go a long way to winning the match. However, matching the Tigers in intensity and pressure has been near impossible for over a year now. They play football at a different level and while they are far from the most skillfull team in the league, it is just death by a thousand cuts when you face them. They kick long and chase, then they lock the ball in the forward line until the kick a goal. I think they win this game and advance to the Grand Final, covering the 16.5 line in the process.